The use of talcum powder has been widely promoted for decades by companies claiming that it is a safe, essential personal hygiene product for consumers. The powder, produced from talc, is a mineral that is composed of magnesium, silicon, and oxygen—which is commonly used to absorb body moisture and reduce friction that causes skin irritation. Prior to 1970s, some talc-based products often contained asbestos, a naturally occurring substance that has been linked to cancer in lungs when inhaled; however, since that period of time, traces of asbestos has been removed from today's talc-based consumer products and powder companies now offer cornstarch-based products as an alternative. Unfortunately, even with the lack of asbestos, mounting evidence over the years has proven that long-term use of talcum powder still has harmful health risks and has been directly linked to an increase in women developing ovarian cancer. Have you or a loved one been diagnosed with ovarian cancer after regular use of talcum powder? You may be entitled to compensation in a talc powder lawsuit case. 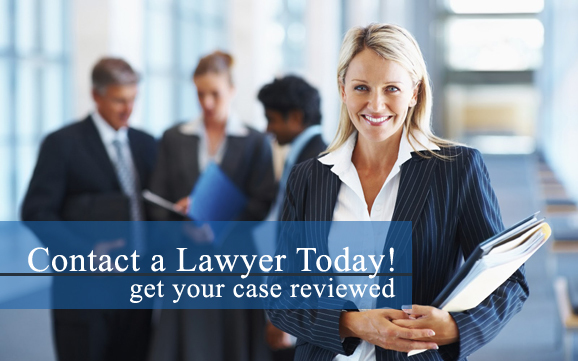 Contact a talcum powder cancer attorney in your local area today! Talc particles contained in powder products, most notably Johnson's Baby Powder and Shower to Shower can travel through the female reproductive system and cause prolonged inflammation of the ovaries, which as a result promotes the growth of ovarian cancer cells. Women who have been diagnosed with ovarian cancer are found to more commonly have talc particles evident in their tumors. The first strong correlation between talcum powder and ovarian cancer was discovered in 1971, and since then additional medical studies have further supported the connection. Despite the evidence, neither manufacturers of talcum powder nor the Food and Drug Administration (FDA) has issued any restriction or warning of any kind to consumers about the ovarian cancer risk associated with talc-based products. In 2014, two class-action lawsuits were filed against Johnson & Johnson by consumers who used J&J products containing talcum powder. Both suits state that J&J is responsible for exposing them to an increased risk for ovarian cancer. The women in the suit claim that using J&J’s talcum powder products on their genital areas caused their ovarian cancer. If you or someone you know has been diagnosed with ovarian cancer after regular use of talcum or baby powder, it is important that you speak with an experienced and knowledgeable attorney to discuss your legal options. You may be entitled to receive compensation against the company/manufacturer for failing to warn of the potential health risks associated with talc-based products and putting corporate profits above consumer safety. Do you believe that your ovarian cancer may have been a result of regular use of talcum powder products? If so, an experienced attorney can help. Contact a talcum powder cancer lawyer in your local area today! Defective product liability lawsuits include various legal claims allowing an injured individual to seek monetary compensation from the party at fault for the product defect. Usually, the lawsuits associated with defective products are based on breach of warranty, negligence, strict liability, and different consumer protection claims.